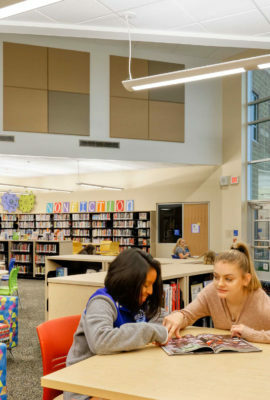 Pike Preparatory Academy establishes a college-going mindset for students in a new kind of alternative learning environment. 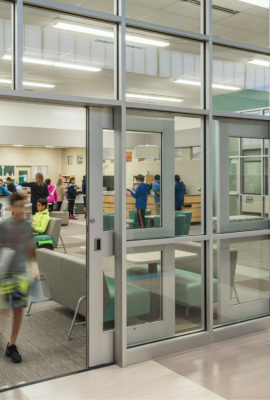 The MSD of Pike Township wanted to consolidate its middle school and high school alternative education programs into a single facility. 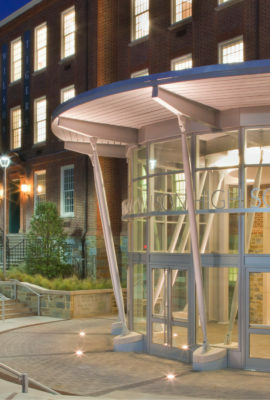 By renovating an existing office building and thinking outside the box, our planning and design team provided the District with a cost-effective, fast-track solution. 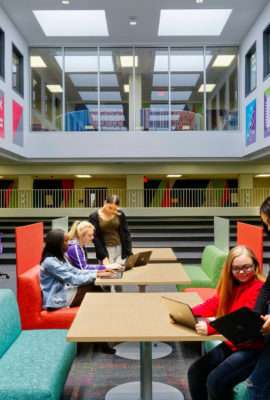 Rows of cubicles and offices are now a dynamic mix of flexible classrooms, an open student lounge and functional administrative space. 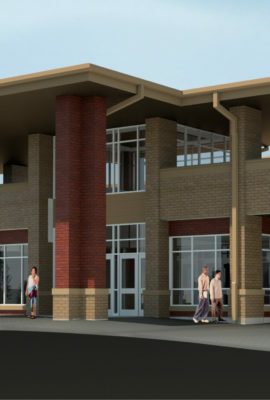 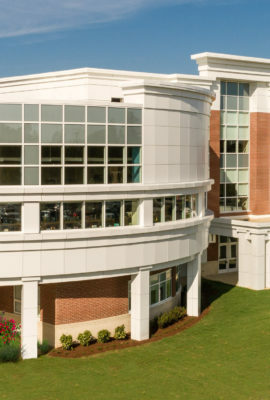 The building’s design is meant to inspire pride in its students, and more closely resembles a community college or university atmosphere. 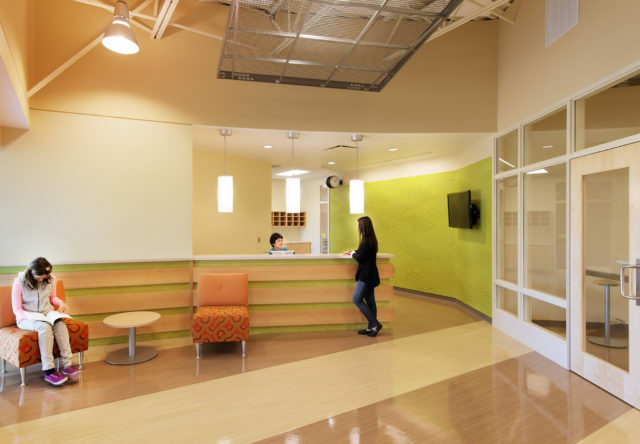 A vibrant reception area greets visitors, establishing a secure and friendly entrance into the space. 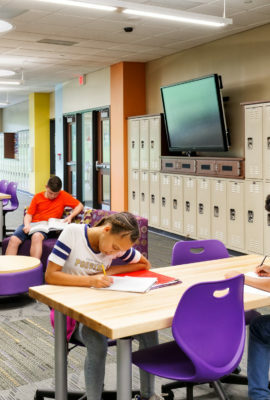 Technology is a central component of Pike Prep’s learning environment. 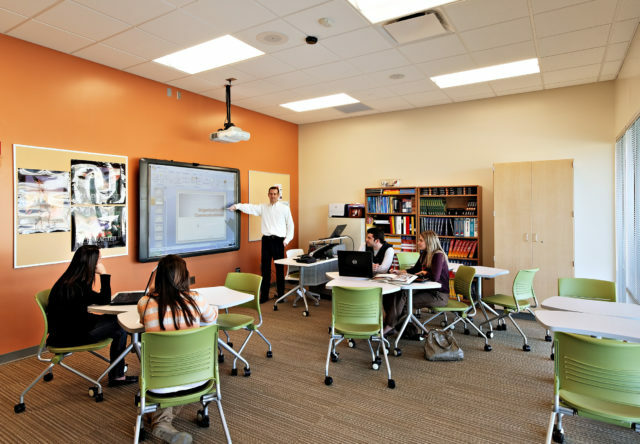 Interactive whiteboards are located in each classroom and every student has either a laptop or hand-held device, all of which are connected through the school's wireless network. 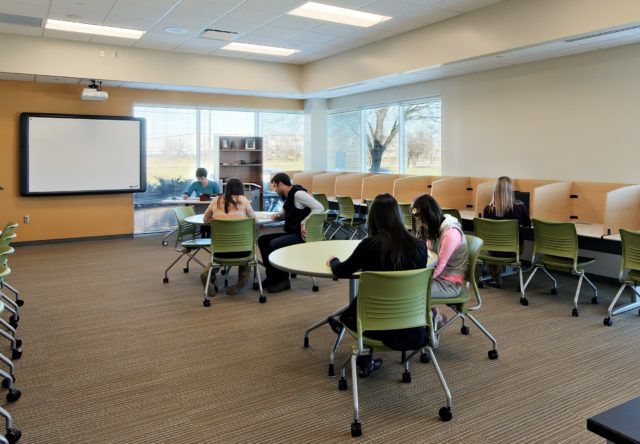 Flat screen televisions in the Student Lounge and lobby broadcast daily announcements and can be used to deliver small group presentations. 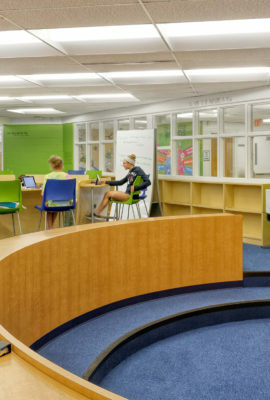 Flexible classrooms equipped with mobile furniture encourage student collaboration. 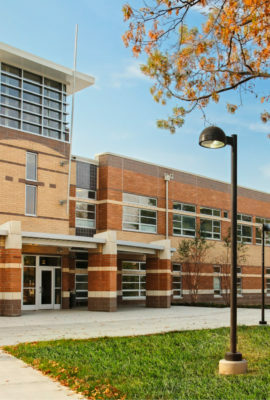 The building's design is meant to inspire pride in its students, and more closely resembles a community college or university atmosphere. 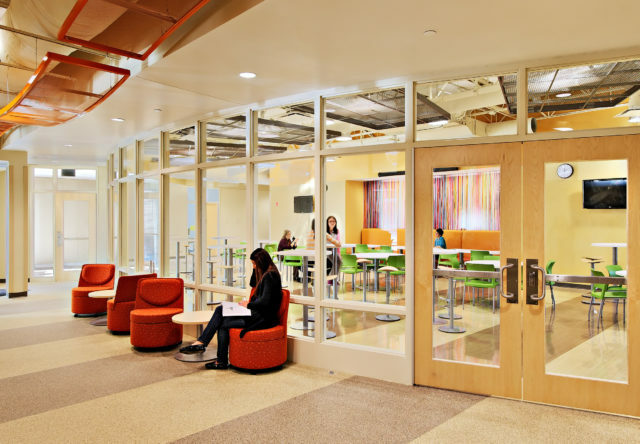 We wanted to create an environment where teenagers and young adults would be excited to learn. 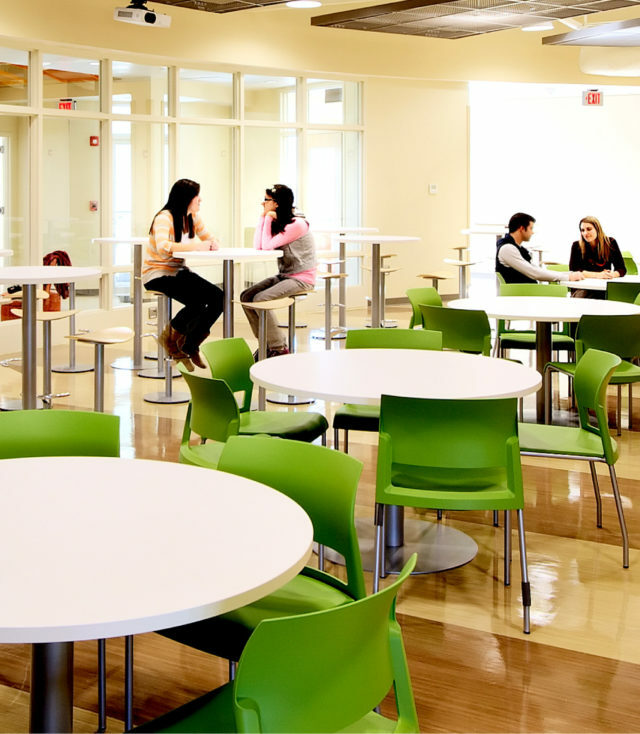 This facility is truly built with students in mind.